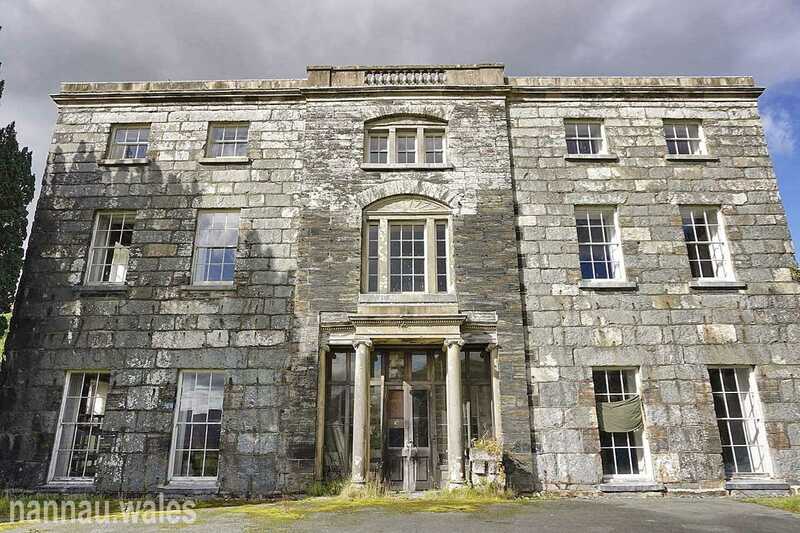 A Timeline of Plas Nannau ‘Hall’. Sir Robert Howell Vaughan and his son start building the new ‘Georgian’ house. The Georgian House is Completed. 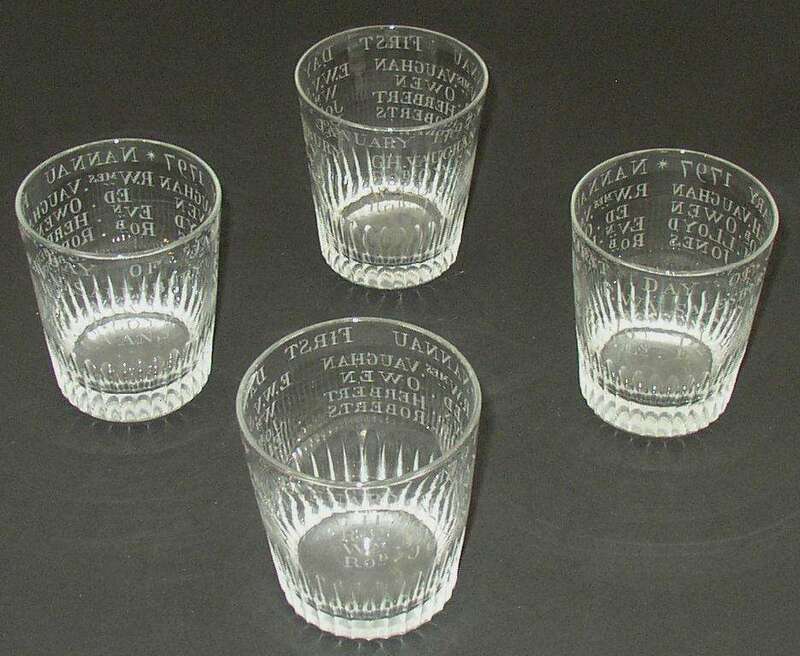 There was a house-warming celebration on January 1st 1797 with a set of glasses engraved for the event. Work is completed on the kitchen (built behind the west/left pavilion wing). It was built to celebrate the coming of age of Robert Williames Vaughan, 3rd Bart in 1824, with celebrations in the local area. 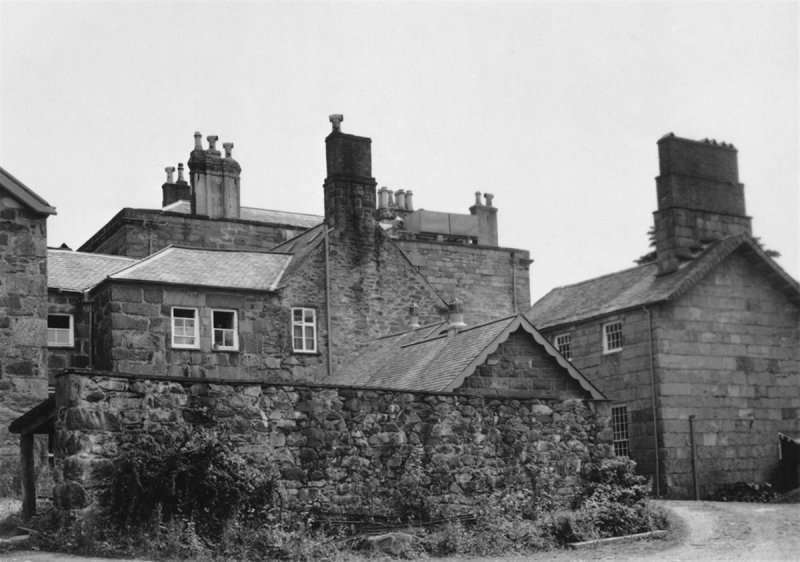 Sir Clough Williams-Ellis (creator of Portmeirion, some twenty-five miles away) designed some alterations to Nannau in 1934, but I am unsure what these were or if they were implemented. 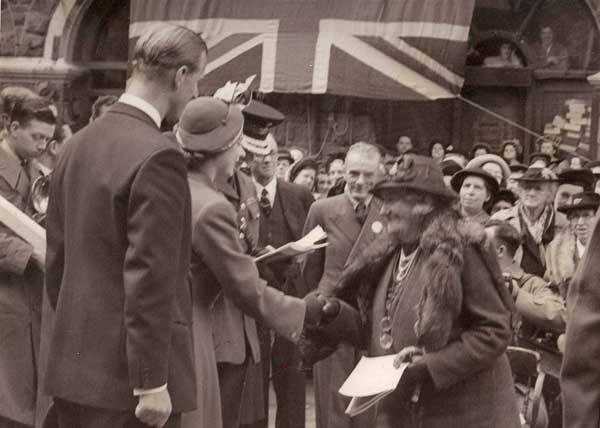 The Princess Elizabeth And The Duke Of Edinburgh (Earl Of Merioneth) had lunch at Nannau during their tour of Merioneth on April 28th & 29th, 1949. A schedule of the house contents was produced. The pavilion wings were demolished in the late 1960s-1970, although the cellars seem to have survived, as do the arches of the east (right) wing and some of the outline of the buildings behind. The house was sold to Edward Alexander Morrison III, D.F.C. and his wife Barbara Stanger MacKenzie-Smith Morrison. The coach house is split from the main house (that was owned by the Morrisons) and sold. Nannau is mentioned in Peter Underwood’s book “Haunted Wales” (and repeated in “Where the Ghosts Walk: The Gazetteer of Haunted Britain”). There is also a photo of Nannau in the book which shows the Pavilion Wings had already been removed. Mr. E.A. Morrison was the owner at the time as he is mentioned in the book. Nannau was converted into a hotel when it was sold in 1979 (to a Mr. Bowen?). The interior was drastically altered to make more bedrooms. The house now has three self-catering suites (two on the first floor of the house and one on the first floor of the Coach House). See Brochures & Advertising. 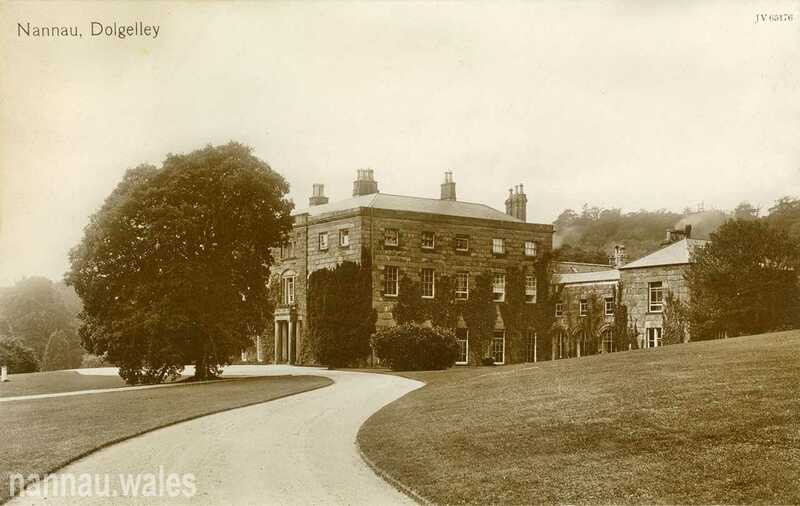 Nannau became the family home of Dafydd Maslen-Jones and his wife Julie. Dafydd was a direct descendant of Owain Glyndwr. 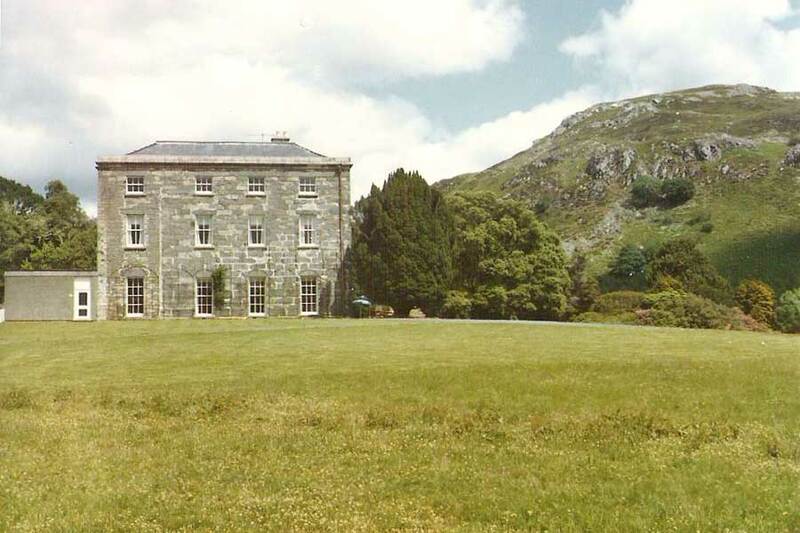 They were planning to turn it into a Bed and Breakfast in March 1995, but it was sold later the same year. 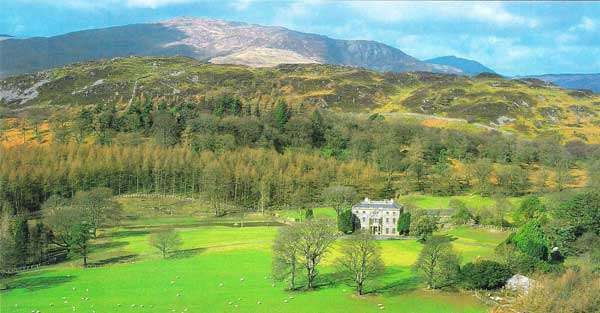 Nannau was put on the market in 1995 before being bought by Hugh Eaves for £350,000 in 1999. Nannau was bought by Jason Cawood for £240,000 on February 12th 2001. 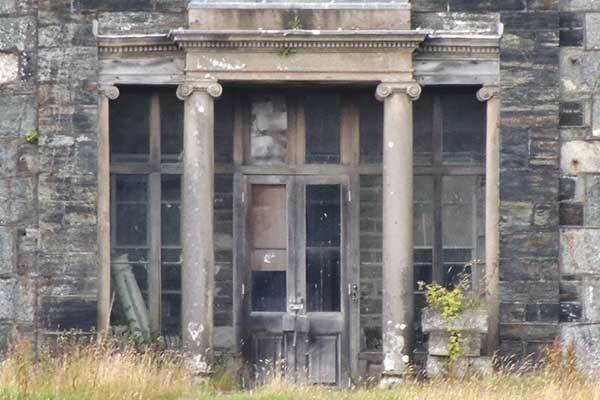 In 2002 the owner was given Listed Building Consent for substitution of previously removed classical entrance hall screen, pilasters, in-situ plaster cornicing, lathe and plaster, internal wall linings and ceilings, ceiling roses, internal doors, door linings, architraves and skirtings. 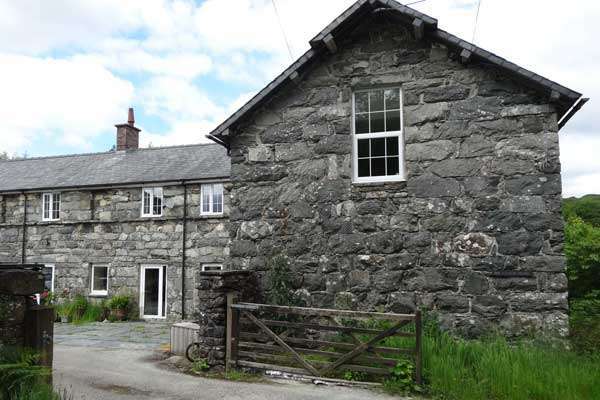 The Coach House was sold on 12th June, 2001 for £162,500. Work stopped on the House Around 2002.